With a somewhat rocky past and unique mix of cultural influences, Sri Lanka makes for a truly fascinating vacation. It’s also perfect for nature enthusiasts, with a large number of national parks and stunning beaches along its coast. 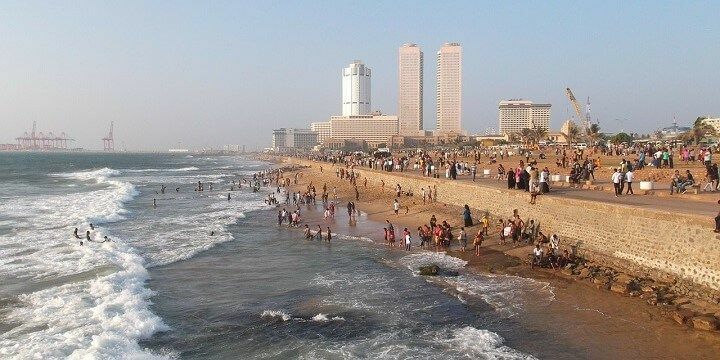 The capital city’s main landmarks are located in the Colombo 1 district. Here, you can find several buildings dating back to the Dutch and British era, such as the Old Dutch Hospital and President’s House. You can also learn more about this period in the National Museum and the Independence Memorial Hall. Colombo is Sri Lanka's capital city. For a more authentic experience, head to Colombo 11 to enjoy street markets and religious buildings, such as the beautiful red and white Jami-Ul-Alfar Mosque. North of the capital, you’ll find the popular Negombo Beach, with plenty of cheap bars and golden sand. For more secluded natural beauty, head to the Kapitiya Peninsula to spot dolphins and whales, or the Wilpattu National Park, home to leopards, sloth bears, elephants, and deer. 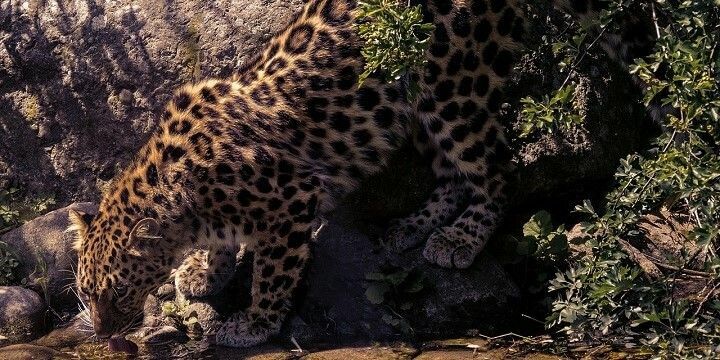 The Wilpattu National Park is home to leopards. Sri Lanka’s most popular beach resorts, such as Kalutara, Beruwala, and Bentota, lie to the South of the capital. Bentota hosts the Kosgoda Turtle Conservation Project, where you can learn about and care for the turtles that live and lay their eggs on the west coast’s beaches. Sri Lanka’s main southern city is Galle. Walk around the 17th-century walls, before learning about the Dutch colonial period at the Galle Fort. Galle is Sri Lanka's main southern city. Elsewhere in the South, you’ll find beautiful beaches, such as Weligama, home to a gorgeous bay, and Mirissa, which is great for whale watching and sea kayaking. Also located in the South are the popular national parks of Bundala and Yala. The former is most famous for its flamingos; in fact, up to 1,000 arrive at a time (mainly between September and March) and live alongside 200 other bird species. Yala National Park, meanwhile, is the best-known in the country. Yala National Park is the best-known in the country. Book a safari to see as many animals as possible, such as elephants, leopards, and bears. 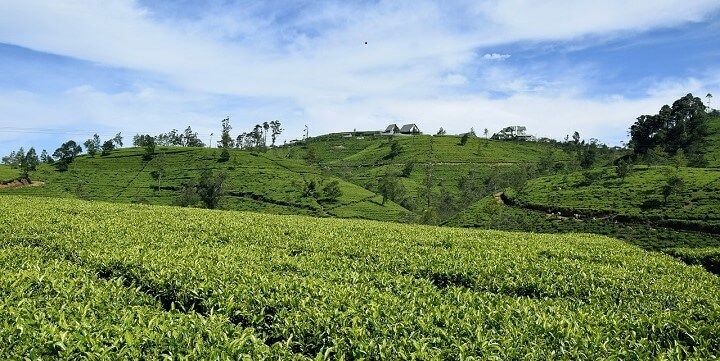 Sri Lanka’s central region is full of scenic tea plantations; in fact, the world-famous Lipton Tea is grown on the island. Be sure to visit Lipton’s Seat, which marks the spot where Sir Thomas Lipton liked to enjoy the Hill Country’s finest panoramic views. Make sure to visit one of the scenic tea plantations. This region also offers fantastic hiking routes. From the 2,234-meter-high Adam’s Peak to the 235-square-kilometer Knuckles mountain range, the Hill Country’s hiking paths offer the opportunity to spot rice fields, secluded villages, and impressive waterfalls. To the North of the Hill Country, you’ll find the sacred area known as the Cultural Triangle. The region’s most fascinating sights include cave temples like Aluvihara and Dambulla, as well as ancient ruins in Anuradhapura and Polonnaruwa. 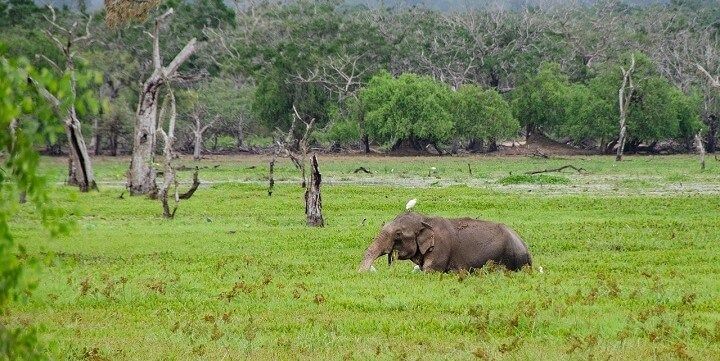 There are also several impressive national parks, such as the Wasgamuwa National Park, which is home to around 150 elephants and an impressive Buddha statue, which dates back nearly 2,000 years. While Sri Lanka’s eastern beaches are just as beautiful as those in the West, they are far less popular. Perhaps the most-lively is Arugam Bay. Here, you’ll find the best surf spots in the country as well as several beach bars and live music venues. 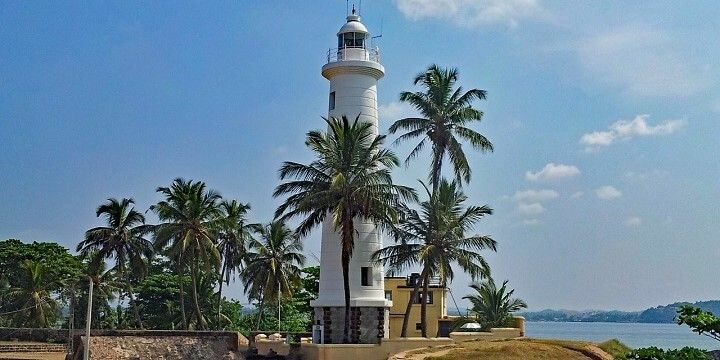 The East’s most popular town is Trincomalee, where you’ll find beautiful beaches, an old fort, colonial architecture, and an interesting mix of religious buildings. The northernmost city of Jaffna hosts the colorful Jaffna Market, as well as several important Hindu and Buddhist temples. 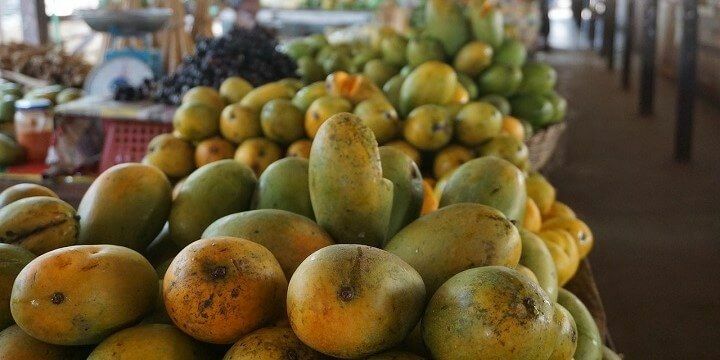 Try local fruit at the Jaffna Market. The small village of Madhu is also of huge religious significance, thanks to its 19th-century Portuguese-style Church, which is the main point of Christian pilgrimage in the whole country. For some peace and quiet, head to the Jaffna Peninsula. Alongside scenic agricultural areas, you’ll find islands such as Nainativu and Delft, home to old temples and the most secluded beaches in the country. Clean, long beaches and good waves for surfing. Not many people on March. Cheaper to stay and eat than in many other beach destinations in Sri Lanka. Hikkaduwa coral reef makes it possible to see turtles and snorkel. With a somewhat rocky past and unique mix of cultural influences, Sri Lanka makes for a truly fascinating vacation.